After weeks of dismal rain in Atlanta we finally have some sun! And yesterday was the most gorgeous day – mid 70’s, sunny… the perfect day to hit up the zoo with our friends. 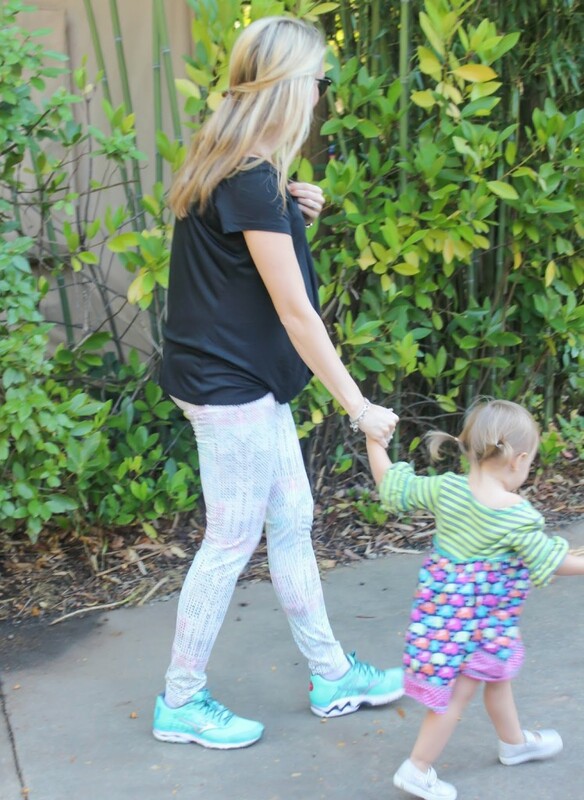 And in our mom friend group there’s an unspoken rule that when we go to the zoo, you wear workout clothes. I mean with all the walking and chasing of our littles that goes on at the zoo it really makes sense, and comfort is key, right? We spent about 4 hours at the zoo which is a long time for us, and had a really great time. 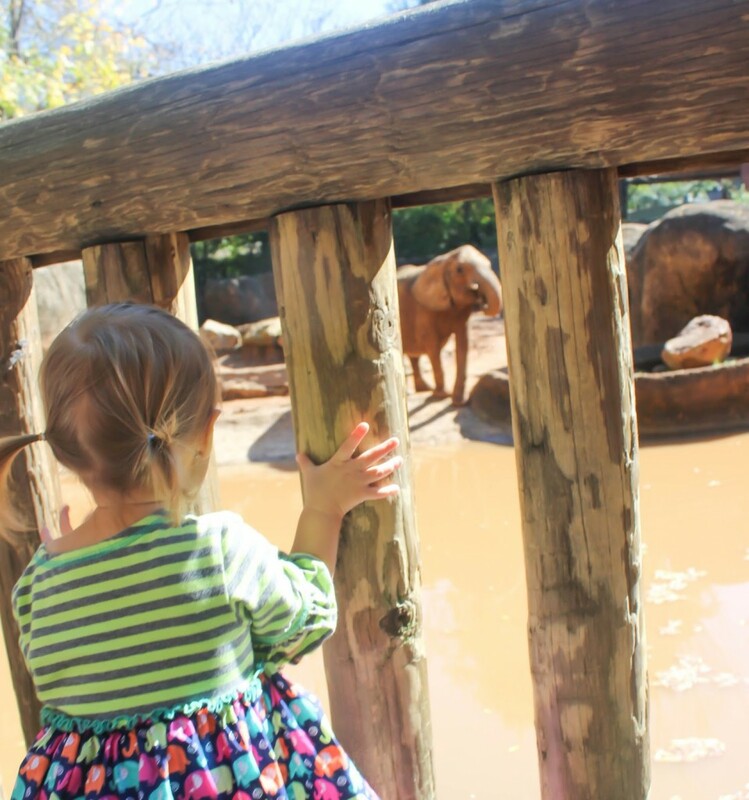 Maddie Grace is obsessed with animals so the zoo is definitely her happy place. And I love watching how happy she is and chatting away with our friends. 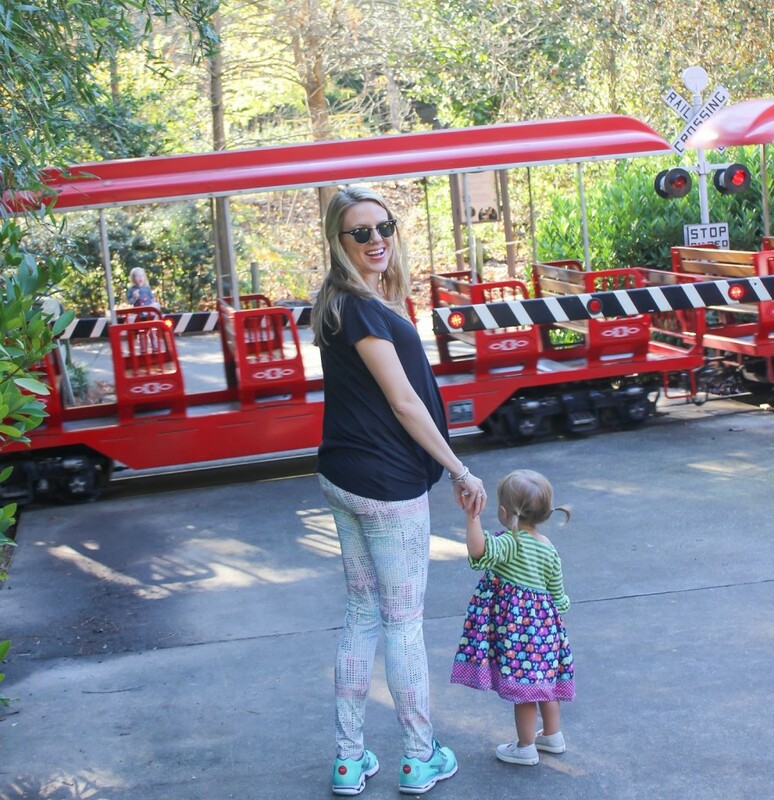 Her favorite animal is probably the elephant, or maybe the gorilla, and she also gets just as excited about the “choo choo” at the zoo as the animals. And my outfit from Fabletics was perfect for the day. Super comfy, I felt cute, and it fit great. 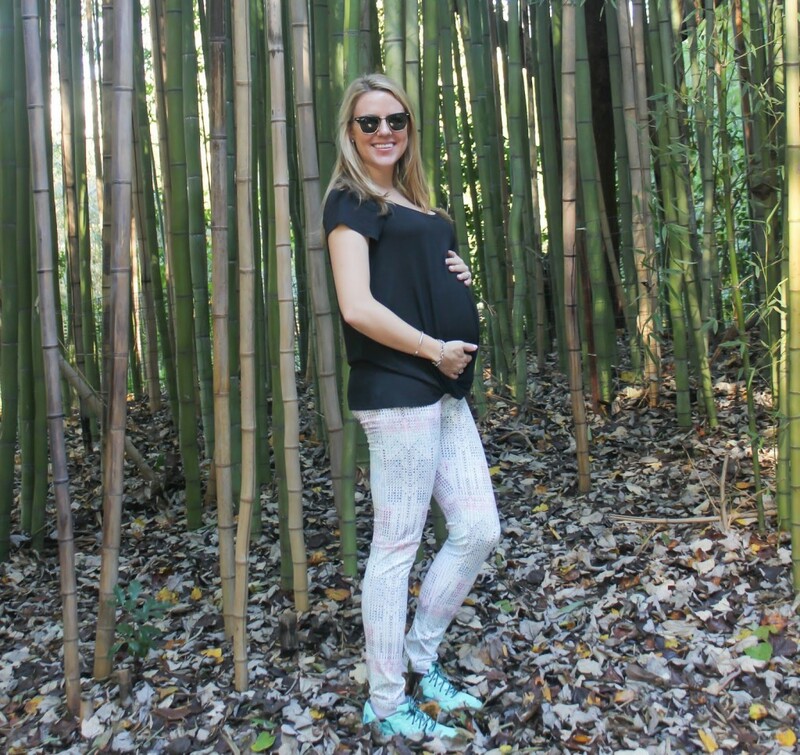 Seriously – super comfy even on this 30 weeks pregnant lady. 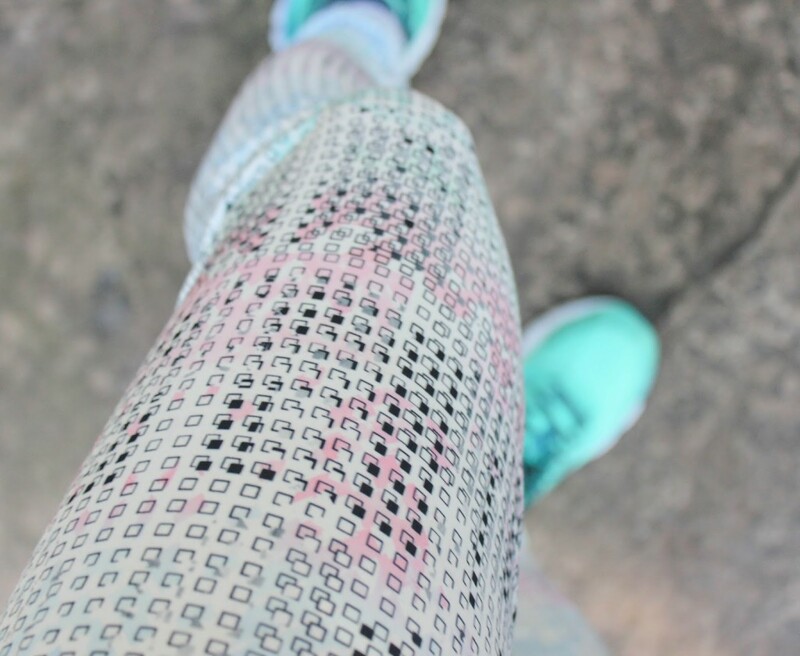 I love these Salar leggings – they’re perfect for winter and the colors are right up my alley, stretchy, don’t fall down at all, and give plenty of coverage. And the Marigold tee is also soft, loose fitting which is what I want, covers my belly great but will still look cute when I’m not pregnant, and is totally a shirt I could either wear for working out or for just running around for the day. And today we woke up to rain and clouds again so I’m glad we took advantage of our nice day yesterday! What’s your go to attire for play dates? 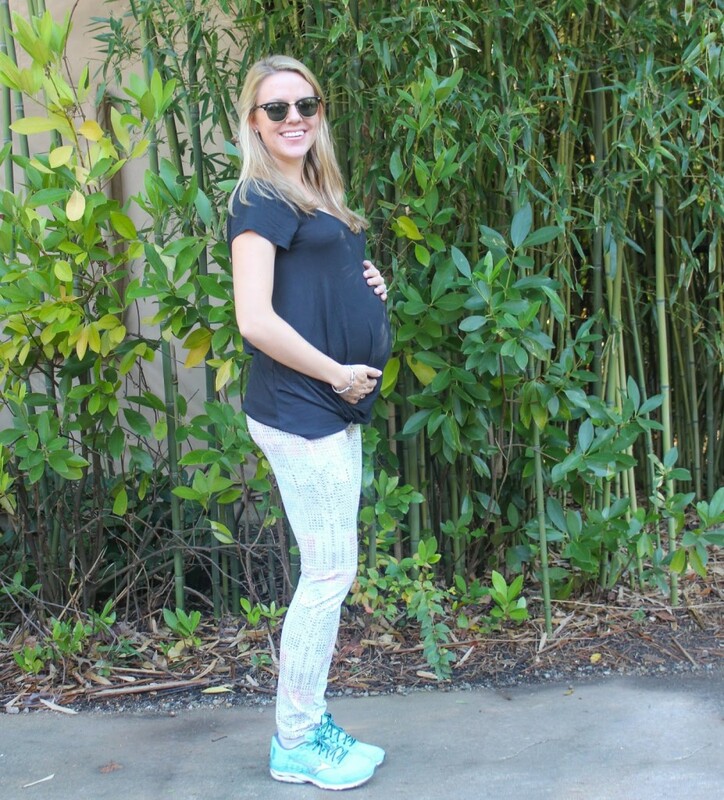 Oh my your bump is so cute! I almost took my boys to the Zoo Atlanta yesterday as well, like you said the weather was perfect! I just wish it stuck around. All this dismal rain and nasty weather is giving me (and my littles) cabin fever. Love you outfit! Also the zoo is such a fun place to take the kids to. To be totally honest you are never too old for a zoo day. I don't have kids but I'd love a zoo day. I really like your shoes and smart choice anytime you're running around sneakers are a must. Love your outfit! My play date attire lately is black yoga pants and a sweatshirt. No time to be creative at the moment. I'm 23 and still love going to the zoo haha. Looking gorgeous mama! I will always love going to the zoo, and even more so now with my daughters.